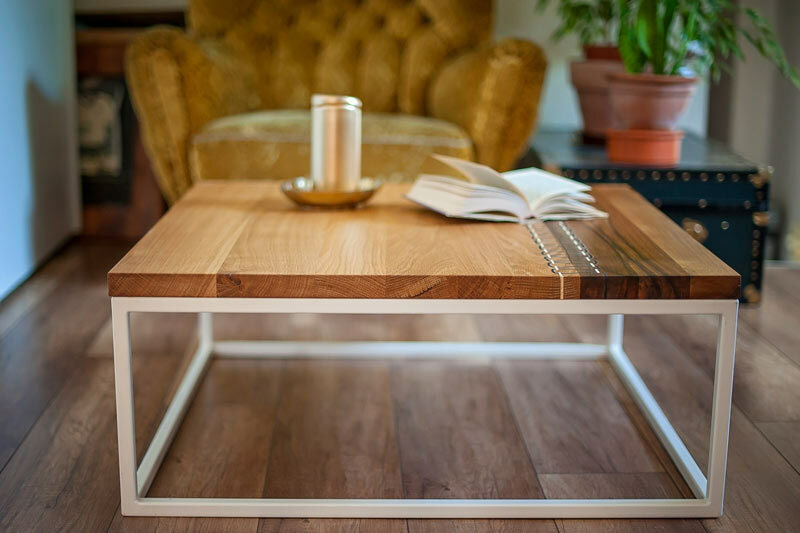 The Googa Coffee Table will enhance your living room with its elegant industrial shape. 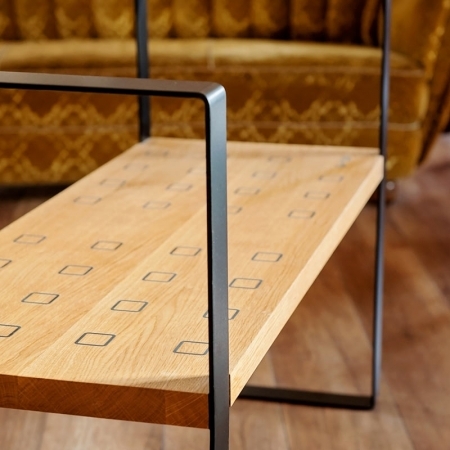 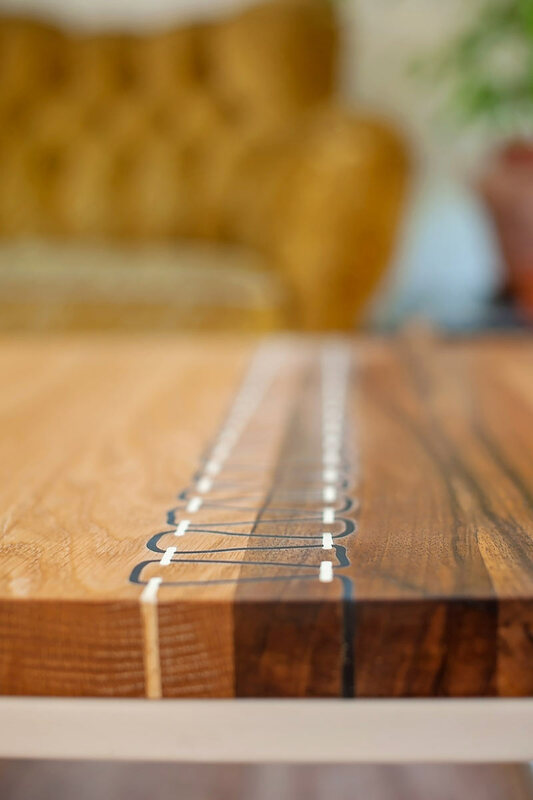 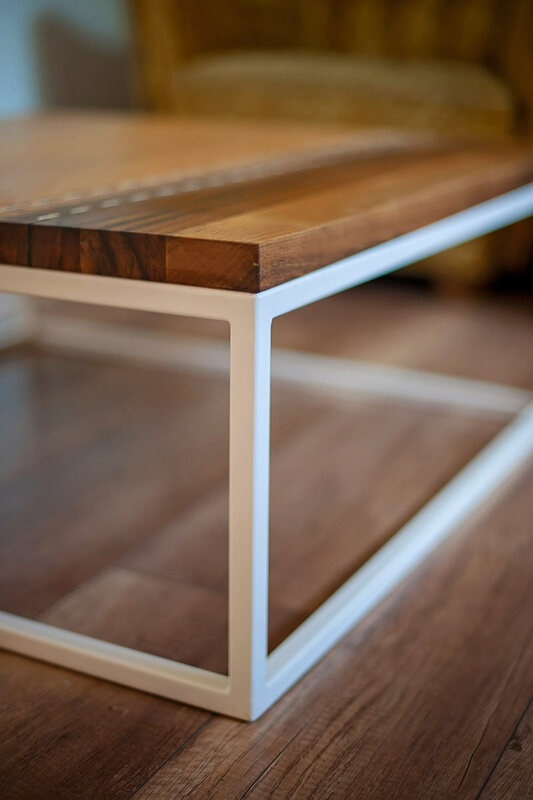 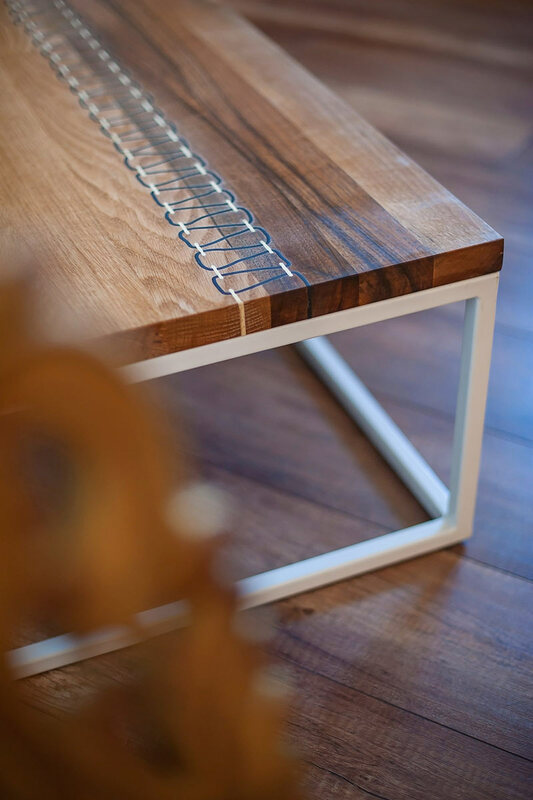 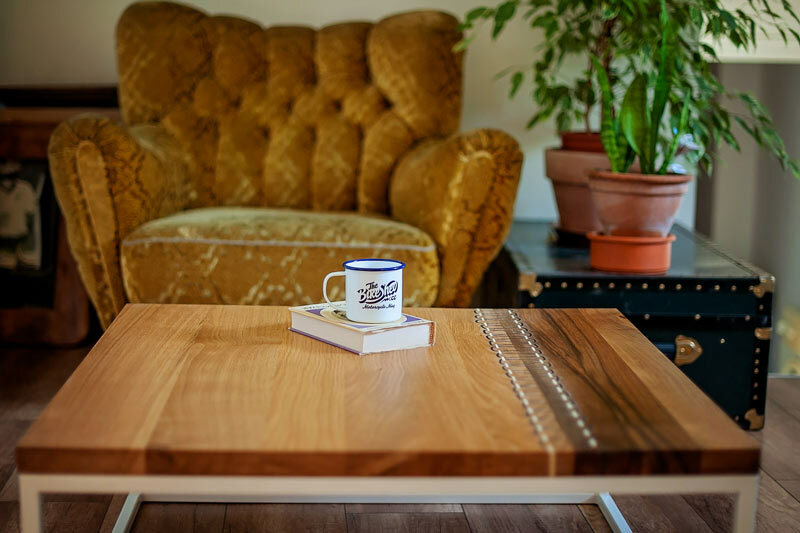 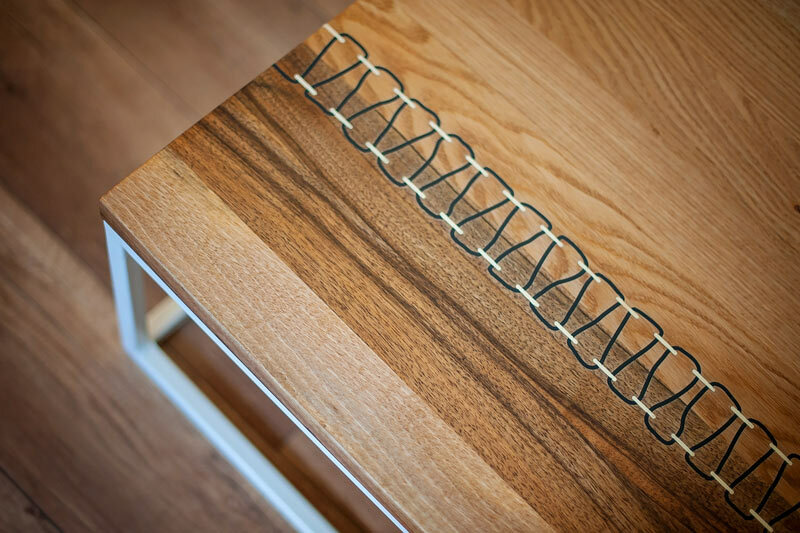 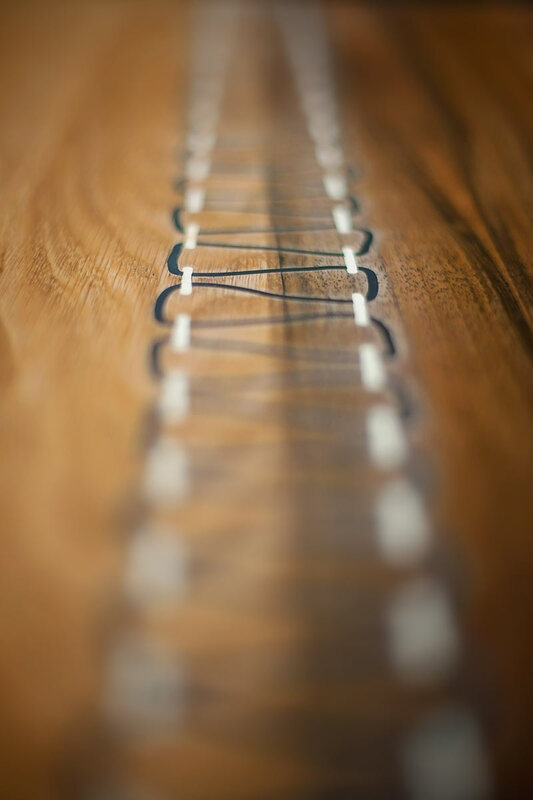 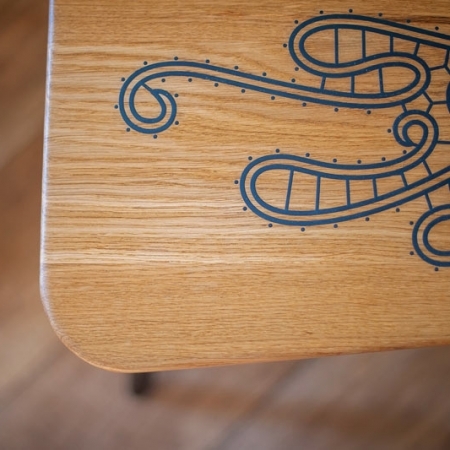 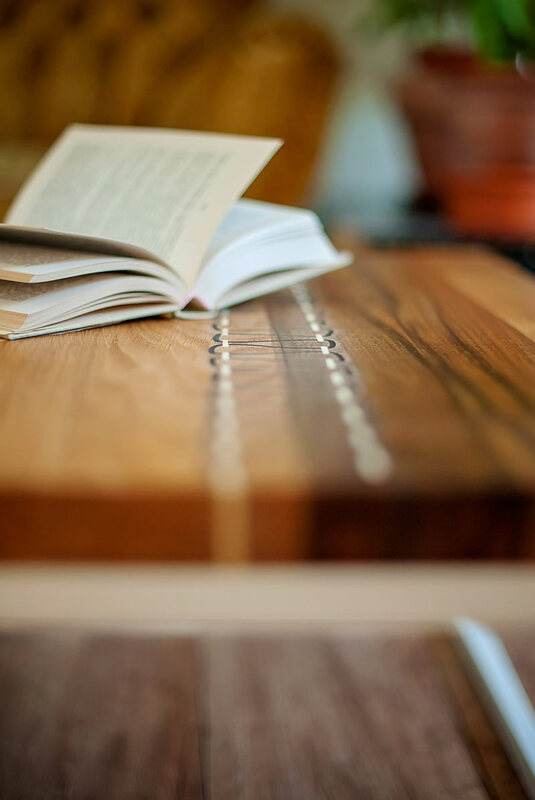 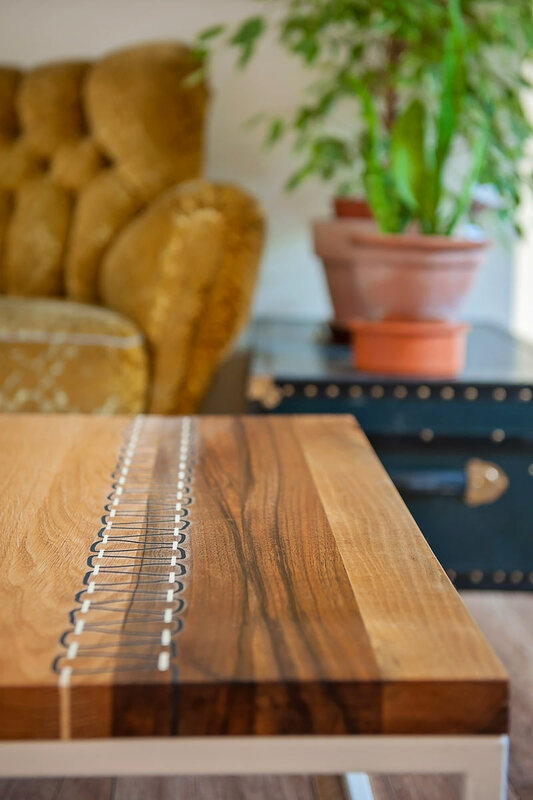 Mixing a metal frame, available in black or white, with a table top made of oak and walnut wood decorated with stylized black and white stitch. 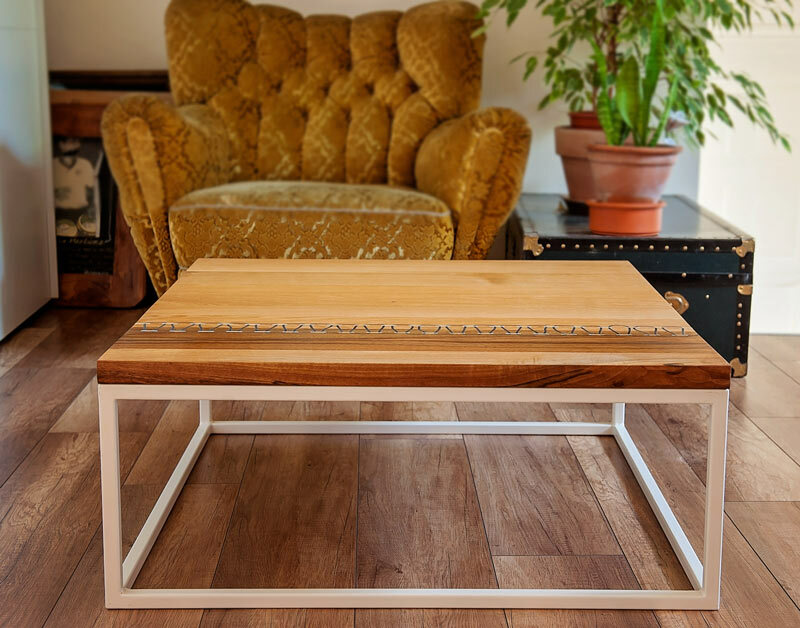 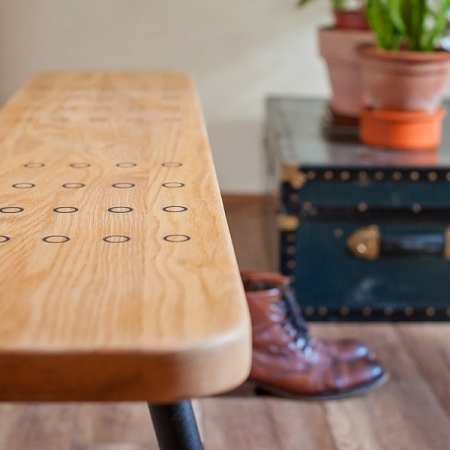 With a square shape, this table is compatible and can be placed anywhere in your home.